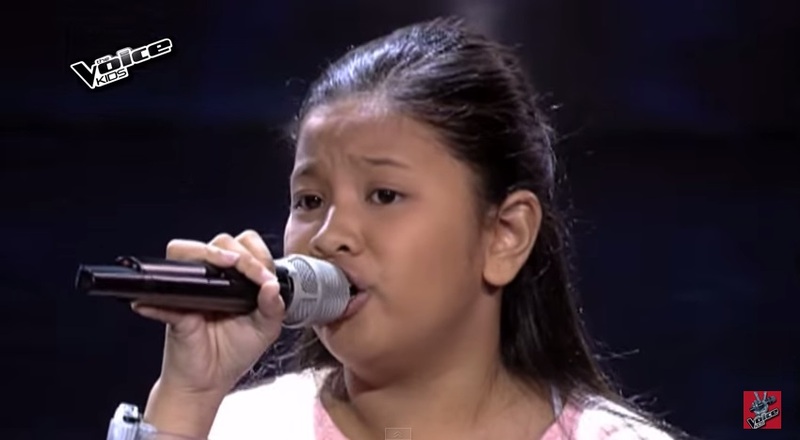 MANILA, Philippines - Eleven-year-old artist from Quezon City wowed Coach Bamboo Mañalac in the final day of the Blind Auditions of ABS-CBN's top-rating and Twitter-trending singing competition "The Voice Kids" Philippines Season 2 on Sunday, July 19, 2015. The singing bananacue vendor Elha Nympha sang Mariah Carey's hit "Vision of Love". 'The Voice Kids' revealed that right after school, Elha always go to the market to sell bananacue. According to her, every peso helps for her family. Elha was the the last artist to fill-in the 18-member team of Kamp Kawayan. On the same night, Coach Sarah and Lea also completed their respective teams.